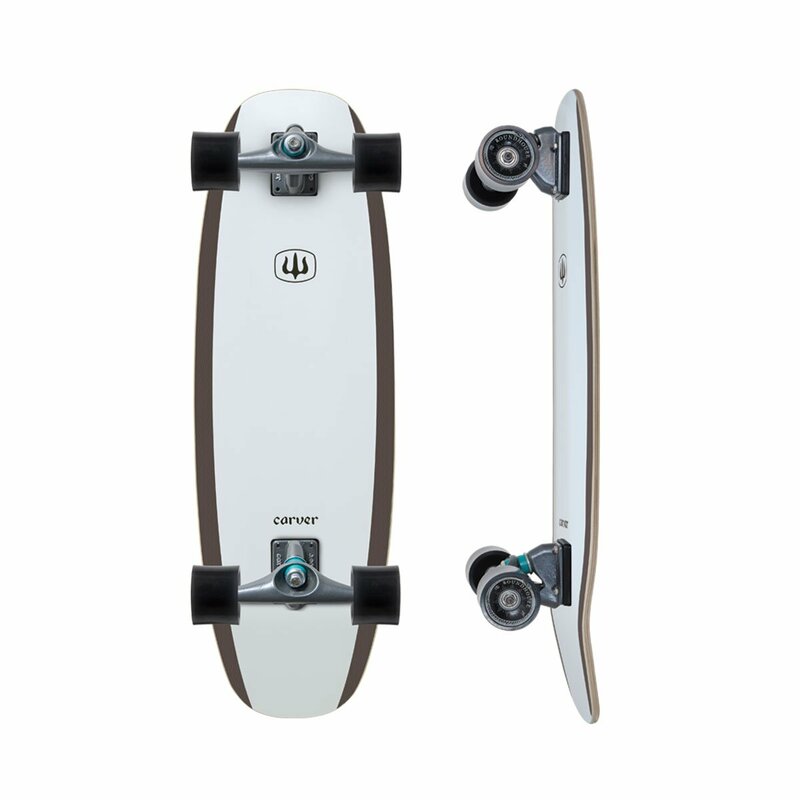 The Proteus skateboard features a boxy template, giving your front foot more support and allowing for a wider stance on a shorter board, while the clipped nose reduces swing weight when snapping a turn. The concave spoon nose hugs your foot and increases leverage, while the proper tail kick gives you the pop you need for ollies, pivots and bonelesses. The Proteus comes with the new Roundhouse Concaves, which are designed to increase grip over standard wheel designs. The arched surface flexes to hug the road, allowing you to lean into turns like never before, and come the closest to the kind of hold you get from a surfboard rail buried in the face of a wave. The Proteus skateboard is also designed as a matched pair to the new Proteus surfboard, which shares the same template and performance characteristics, resulting in a seamless transition from land to sea.